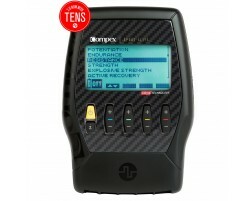 Compex Muscle Stimulators help you enhance muscle performance by utilizing targeted electrostimulation that is delivered through specific training programs. 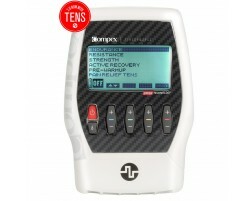 If you're looking to improve your overall fitness we have the Compex muscle stimulator for you. Learn what device is right for you with our muscle stimulator buying guide. Machines that provide electrostimulation to your muscles can help you run faster, jump higher and perform better in competitive sports and activities. Electronic muscle stimulators reproduce the body's natural muscular contractions by applying an electrical impulse to your motor nerves. This helps your muscles contract stronger than what can be done during regular training or exercise. This means you can work out more thoroughly, while decreasing the load of weights you need to create resistance for the body. 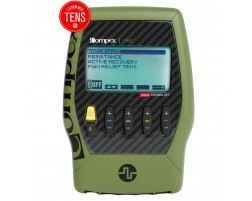 Compex muscle stimulators are one of the leading brands in electrostimulation devices. Compex devices come with various training programs that can help you develop strength, speed, endurance and explosive power. They can even help you recover from intensive workouts more quickly. Compex electrodes also come in standard or easy snap versions, so you can quickly apply your muscle stimulation device and start working out your muscles.